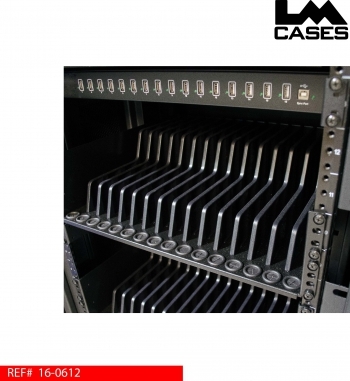 This case is designed to be a mobile charging and storage solution to hold 48 devices in individual compartments. 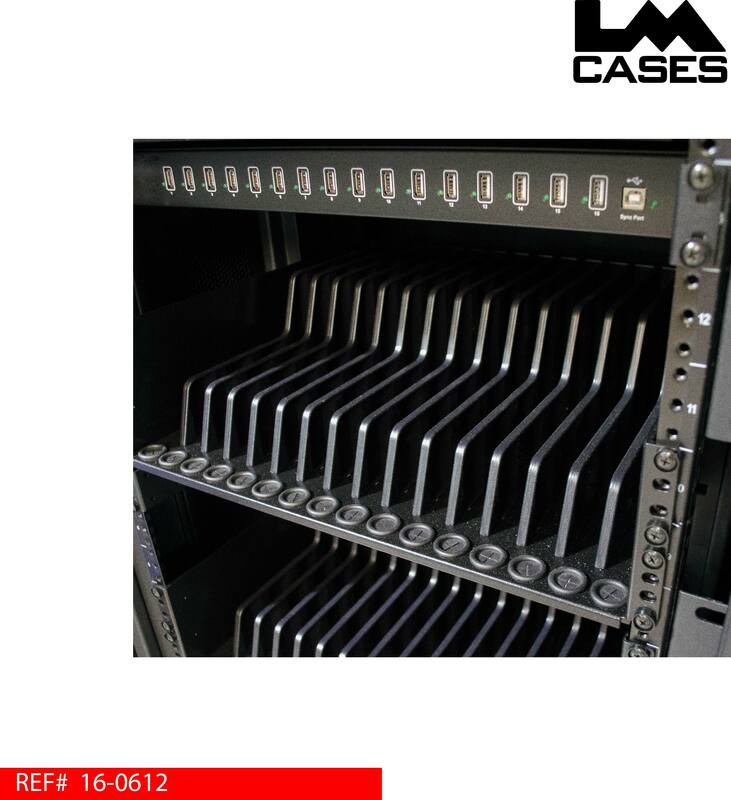 There are 3 - 16 port USB charging hubs that also function as sync units that allow data to be pushed to 16 devices simultaneously. 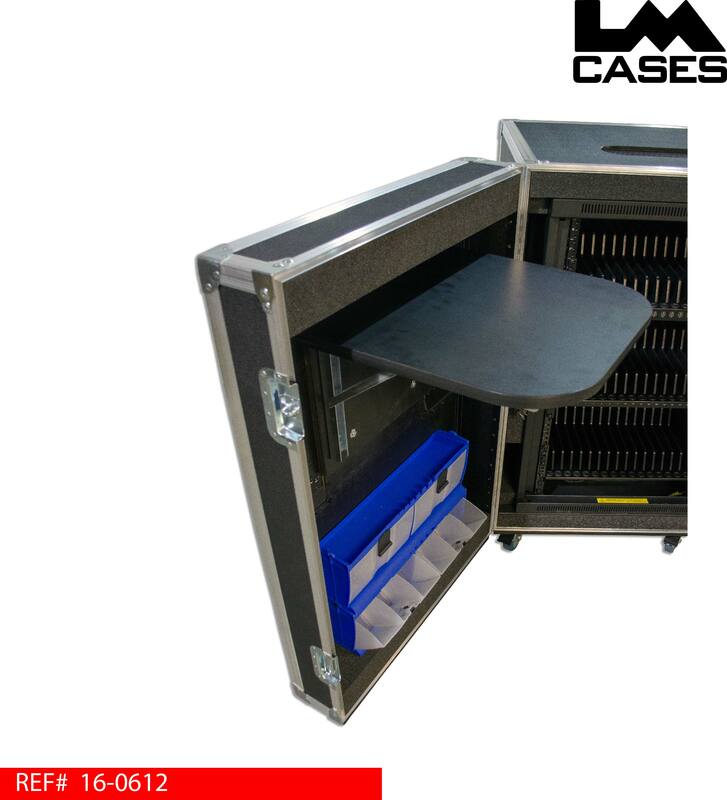 The charging unit features a lockable front vented door that allows units to be charging and locked up. 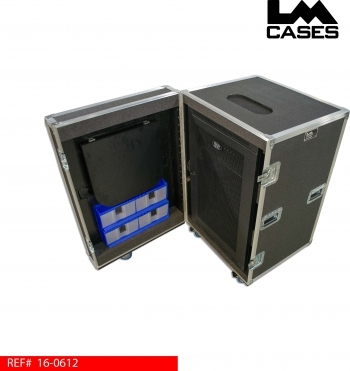 The case features a front hinged lid with a pop up table designed for a laptop and miscellaneous items. 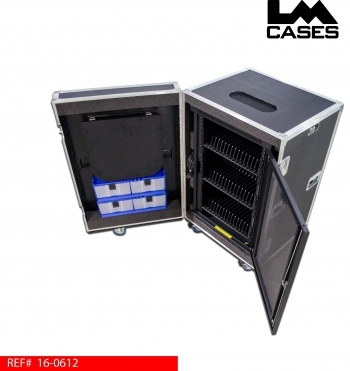 The front lid also features 2 Tilt Lock bins that feature a total of 12 compartments for storage. 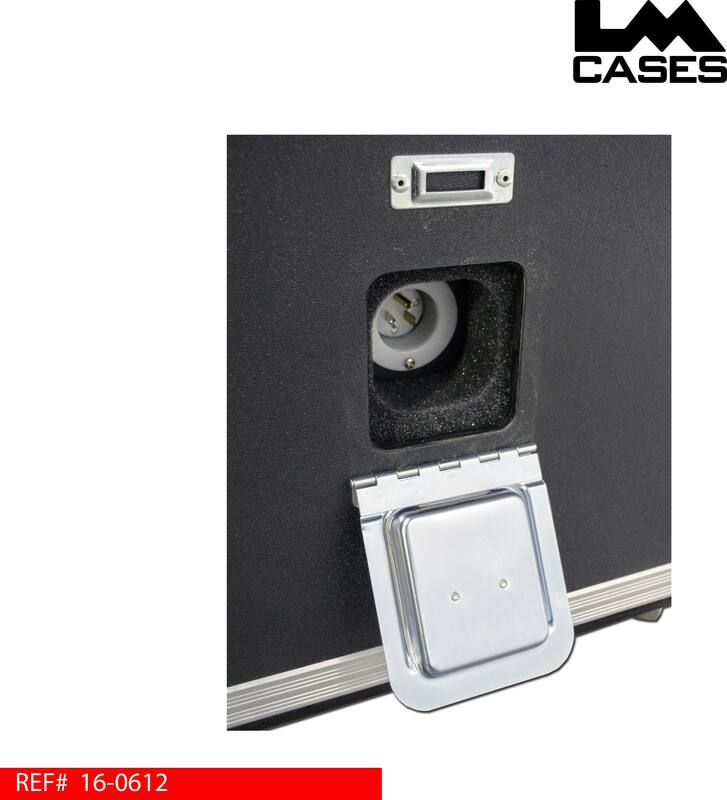 Power is supplied to the case via a central power inlet box on the back of the case. 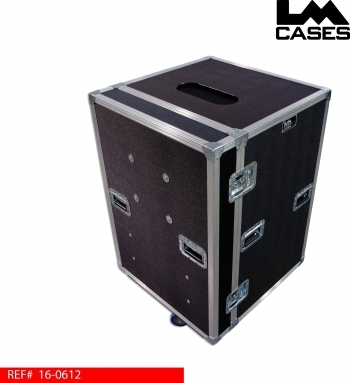 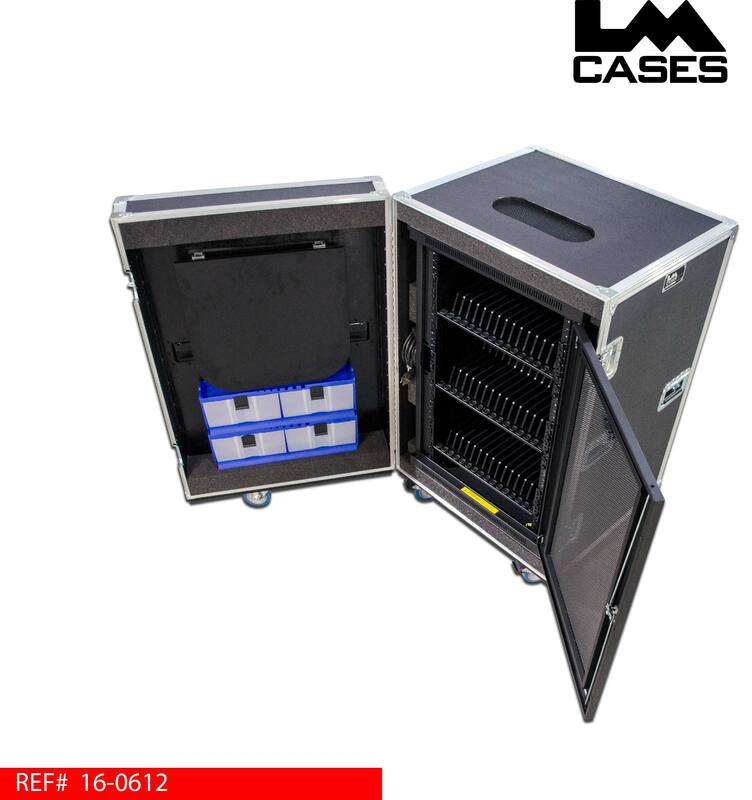 The exterior case is built out of 3/8" plywood and features 4" Colson casters and a pad-lockable hasp latch.